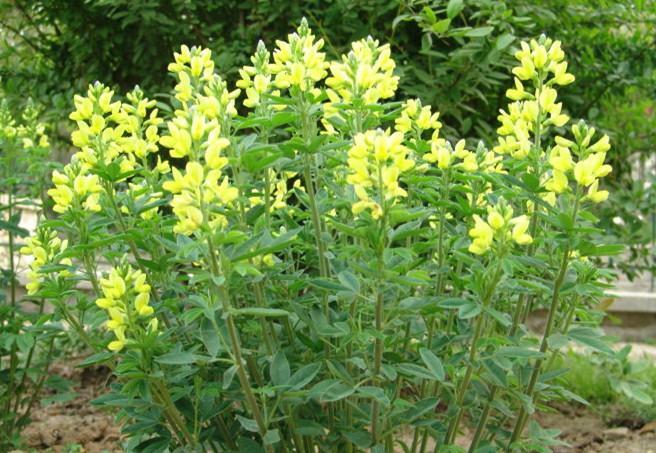 The drug is the dried root and seed of Thermopsis chinensis Benth. ex. S. Moore (Family Leguminosae), growing in fields, along roadsides, or in open grasslands, and distributed in Hebei, Shanxi, Jiang su, Zhejiang and Jiangxi of China. Root or seed is used as anti-pyretic and antioncotic, for the treatment of inflammation of the eyes.